Part inspirational story of Bea Johnson (the “Priestess of Waste-Free Living”) and how she transformed her family’s life for the better by reducing their waste to an astonishing one liter per year; part practical, step-by-step guide that gives readers tools and tips to diminish their footprint and simplify their lives.Many of us have the gnawing feeling that we could and s Part inspirational story of Bea Johnson (the “Priestess of Waste-Free Living”) and how she transformed her family’s life for the better by reducing their waste to an astonishing one liter per year; part practical, step-by-step guide that gives readers tools and tips to diminish their footprint and simplify their lives.Many of us have the gnawing feeling that we could and should do more to limit our impact on the environment. But where to begin? How? Many of us have taken small steps, but Bea Johnson has taken the big leap. Bea, her husband Scott, and their two young sons produce just one quart of garbage a year. To ask other readers questions about Zero Waste Home, please sign up. 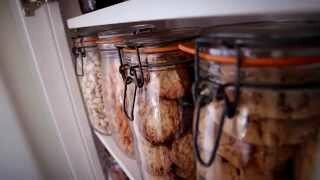 I started following Bea Johnson's blog http://zerowastehome.blogspot.com/ a few years ago when I really started to rethink the amount of waste that my household produced and the kind of environmental impact I was making. I did make quite a few changes in my life as a result of her influence, and I find her lifestyle (and this book) to be compelling, challenging, and totally brilliant. Now almost all of my household cleaners are homemade (almost--Arizona's brutally hard water makes powdered dishw I started following Bea Johnson's blog http://zerowastehome.blogspot.com/ a few years ago when I really started to rethink the amount of waste that my household produced and the kind of environmental impact I was making. I did make quite a few changes in my life as a result of her influence, and I find her lifestyle (and this book) to be compelling, challenging, and totally brilliant. Now almost all of my household cleaners are homemade (almost--Arizona's brutally hard water makes powdered dishwashing detergent an impossibility -- just ask my repairman), I buy 70% of our weekly groceries at the farmers' market, and I really try to limit the disposables that enter our home through her recommended bulk shopping methods. Her call to streamline your life makes all of these changes easy, and frankly, harkens back to basic Home Economics. All of your errands in one, right-turn-only trip! 10 vegetables and 4 grains that go into 5 dinners and 6 breakfast/lunches! Use it up, wear it out, make it do, or do without! Many of the ideas here follow basic common sense, and I think if you make a concerted effort, you'll find a great deal of this book to be very reasonable. You just have to make your own system, and forgive yourself (and your trash production) until you can perfect it. Many people will be turned off by this book. Simply put, you will feel ashamed. This book is going to make you feel bad about yourself because it tells you that you need to change the way you do many basic things. Additionally, frustrations pile up pretty quickly when you start trying to change. Want to stop junk mail? Good luck if you don't own your home. Same goes for composting if you don't have a city that does it for you. Recycling for renters is a colossal pain in my town, but I try to buddy up that errand when I can. You just have to be that much more organized, and admittedly, that takes more effort. The author, Bea Johnson spends much of the intro discussing how much time she saved now that she no longer spends weekends shopping for furniture for her massive house. Okay, that's reasonable but then she goes on and on about how much time you will save by eliminating possessions and becoming zero-waste. But when you actually read her account of her activities in her new lifestyle you realize she has only reallocated her time. She doesn't seem to have any more free So pretentious and illogical. Okay, that's reasonable but then she goes on and on about how much time you will save by eliminating possessions and becoming zero-waste. But when you actually read her account of her activities in her new lifestyle you realize she has only reallocated her time. She doesn't seem to have any more free time. No doubt Bea Johnson is doing impressive things to lower her environmental footprint but her claims of time-saving when she is clearly spending hours making all her own food from scratch, shopping at multiple places all over town, calling dozens of places to find one place that will recycle an item she owns, etc. rings so false it was hard for me to give credibility to much else she said. Furthermore, I found her tone so pretentious and rather snobby. It may have been unintentional but it left a distinct impression that one must be well off, able to have a SAH parent in the home, in order to live this lifestyle. The shopping for calamari steaks is what did me in in the first chapter. I wish I had time to make my own mustard and my own makeup. The author seems sincere in her desire to keep her footprint to a minimum, but she is not living in my reality. I did find some tips for how to cut back on junk mail and gift giving, but mostly I just wondered how the author had any friends left. 2) Composting can considerably reduce what you send to the landfill, since 1/3 of household waste is organic. I'm still deciding on a method, but my goal is to get a compost set up by the end I learned so much from this book and will be implementing many of her suggestions. For what it's worth, many recipes are not necessary to live zero waste. I won't be adopting any of the makeup recipes, for example, because I don't wear make up anyway. Depends on what is important to you. There are also a lot of (probably unintentionally) omitted privileges about how much easier it seems to carry out her lifestyle in the city she lives in: Mill Valley, which seems to have a reputation for facilitating greener living. This is an unusual environment globally and for the United States where there is a communal desire and technological ability and infrastructure in place to help people to live more sustainably if they want to... That said, I don't think the absence of this odd living arrangement makes it impossible to at least attempt and certainly not to implement a lot of the thinking here elsewhere. I equally don't think she should be written off because of her short-sightedness in this area. Overall, the best takeaway is really the intentionality and awareness of the lifestyle and having the mentality of thinking about the lifespan of products we use and about the impact of the way we live. This is a book that requires a lot from the reader in terms of knowing what will/can fit with their lives and how, and to ask questions within their community and elicit change if the necessary structures are not already in place...which is a lot of work for the reader, but it is what's necessary for change to happen. Although I can see why Johnson might annoy some people, there is a lot of really valuable, practical information in here about actionable everyday steps (many of them not that difficult) towards making positive sustainable changes to one's life (even if you don't live somewhere with the infrastructure to action all of her suggestions). I can't help feeling that some of those who dismiss her out of hand because they don't like her anecdotes or her perceived arrogance/well-to-do-ness or whatever else might be making excuses to not make some really great lifestyle changes that society sorely needs to embrace (maybe just because it's easier to continue as normal...for now). I have a lot more opinions about specific ideas or attitudes in the book but, overall, despite the fact that much of this information is available for free online (including on Johnson's website) and she talks about much of what is in the book in her various speeches which can be found online, I do think this book is a worthwhile purchase. It provides a good general reference discussing a wide range of areas like how to be Zero Waste in the kitchen, bathroom, at work, with kids, when travelling, etc. There will always be tricky little bits that are peculiar to different people's lives, but I think this book pretty thoroughly discusses how to make different aspects of one's life Zero Waste (if not at least giving a great starting point for just about all situations). You might not use everything in this book, but there will be loads you can take away and implement in your life. Obviously, nothing happens overnight and Johnson tries to emphasise that making any effort at all is better than nothing, but there's always more that everyone can do. And there's no need for the journey to living more sustainably to be filled with pressure or guilt. Do it for you. Do it for the planet. Take it one step at a time. And remember how much you can actually do as an individual. I am the target audience for this book. However when the author suggested saving energy by not preheating your oven I almost put the book back into my library bag unfinished. I didn't though because even though as a home cook I found that to be a silly way of saving 4 cents I figured the book would still have some valuable information. I read the author's blog and find that she constantly challenges my thinking regarding waste. Is she extreme? Yes. Oh yes. And she knows it and admits it, declaring that she sees herself as the experimenter in order to save everyone else the time of figuring it out. So I was pre-disposed to be interested in this book. And...no. Just no. She's a blogger, not a writer or researcher, and it shows. There was a lot more that could have been done here in terms of making the waste reduction argument an I read the author's blog and find that she constantly challenges my thinking regarding waste. Is she extreme? Yes. Oh yes. And she knows it and admits it, declaring that she sees herself as the experimenter in order to save everyone else the time of figuring it out. So I was pre-disposed to be interested in this book. And...no. Just no. She's a blogger, not a writer or researcher, and it shows. There was a lot more that could have been done here in terms of making the waste reduction argument and setting the call to action and she missed it all in favor of forced alphabetized lists of tips. What did I learned from this book? If you live your American Dream(TM) in a giant house, making crap loads of money while having almost unlimited free time, then you can significantly reduce your waste output and as by byproduct reduce your expenses and gain some free time. Otherwise... Perhaps it's because I don't live in USA and my budget is tight, but the small-but-high-impact changes (like not using disposable dishes) have been always part of my life, so the other changes (like make everythi What did I learned from this book? If you live your American Dream(TM) in a giant house, making crap loads of money while having almost unlimited free time, then you can significantly reduce your waste output and as by byproduct reduce your expenses and gain some free time. Otherwise... Perhaps it's because I don't live in USA and my budget is tight, but the small-but-high-impact changes (like not using disposable dishes) have been always part of my life, so the other changes (like make everything you can instead of buying it) are just not realistic -- I just don't have so much free time and money. And also, I quite like my friends. * Refuse (stop stuff from coming I love this book. I read various simplifying/decluttering type books every now & then; this book is not quite that category, but similar in that Johnson has simplified her family's life extensively by trying to avoid creating any trash (zero waste). I think her choices are entirely commendable & she shows that it can actually work for a suburban family of four. The problem with this book for me was that the simplicity goal and the zero-waste goal are two entirely different things, and I can't quite see how to implement them without contradiction. How am I supposed to get my wardrobe down to, like, 25 pieces total, for example, without getting rid of basically everything I own and then purchasing those 25 magical I definitely admire a woman on a mission. And it's always nice to read a missive by someone with even more crazy-out-there ideas than my own. It takes a lot of money to produce no waste. The most useful thing I took from this was to use colouring pencils instead of highlighters. I have no clue how the author thinks poor people live. Whatever floats your boat I guess, but most normal and most cash strapped people could not afford to live like this regardless of how much money she thinks you save. Aš niekada nebuvau išprotėjus dėl ekologijos, rūšiavimo ir panašių dalykų. Tuo nesididžiuoju, bet ir vaidinti kažko neketinu. Viskas pasikeitė, kai gimė vaikas. Tuomet tapo svarbu daug dalykų ir kokį pasaulį paliksiu po savęs - vienas jų. Knyga “Namai be atliekų” į mano akiratį pateko jau senokai, bet eilė pribrendo tik dabar. Na ir ką aš galiu pasakyti- leidykla Dvi tylos, kuri ir išleido knygą, labai taikliai apibūdino savo leidžiamas knygas - jos skirtos žengiantiems su pasauliu ir ieškantiem Aš niekada nebuvau išprotėjus dėl ekologijos, rūšiavimo ir panašių dalykų. Tuo nesididžiuoju, bet ir vaidinti kažko neketinu. Viskas pasikeitė, kai gimė vaikas. Tuomet tapo svarbu daug dalykų ir kokį pasaulį paliksiu po savęs - vienas jų. Knyga “Namai be atliekų” į mano akiratį pateko jau senokai, bet eilė pribrendo tik dabar. Na ir ką aš galiu pasakyti- leidykla Dvi tylos, kuri ir išleido knygą, labai taikliai apibūdino savo leidžiamas knygas - jos skirtos žengiantiems su pasauliu ir ieškantiems tikrumo. Be to sakinys knygos gale suintrigavo - Bea Johnson, knygos autorė, su šeima per metus sugeneruoja šiukšlių, kurios tilptų į vieno litro stiklainį. O per kiek jūs su šeima pripildote tokią talpą? Per 1 valandą? Per dieną? Leidinys kokybiškas - pradedant vizualiais dalykais, tokiais kaip popierius, maketavimas ir baigiant turiniu. Autorė su gera autoironijos doze pasakoja savo kelionę į zero waste - supaprastintą gyvenimą ir sumažintą atliekų kiekį. Praktinių ir labai naudingų patarimų daug. Ypač patiko filosofiniai autorės pamąstymai apie vartojimą, komerciją ir pan. Užkliuvo tai, jog visos knygos metu autorė teigia, jog toks gyvenimo būdas nereikalauja daug laiko ir visą save galite skirti tikriems dalykams: šeimai, savęs realizacijai, bet kartu atskleidžia kiek daug dalykų tenka daryti norint palaikyti zero waste sistemą: gaminti higienos, makiažo priemones, ieškoti kur apsipirkti nepažeidžiant savo principų ir pan. Iš kitos pusės - nereikia norėti, kad gyvenimo būdas pasikeistų per minutę. Į jį reikia įeiti ir pakeisti praktiškai visus savo įpročius. Earlier this summer, some friends and I talked about cults. One friend told another, "You'd be in the zero-waste cult," and we all thought this was hilarious. Now that I've read this book, I no longer find it facetious to conflate zero-waste living with cult membership. 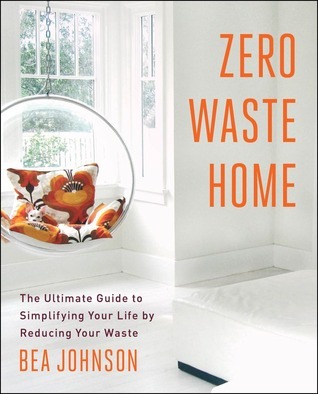 In fact, according to Goodreads, Bea Johnson is the "Priestess of Waste-Free Living." I don't think this is an exaggeration. It requires a level of religious devotion to take the zero-waste lifestyle as far as this lady does, and Earlier this summer, some friends and I talked about cults. One friend told another, "You'd be in the zero-waste cult," and we all thought this was hilarious. Now that I've read this book, I no longer find it facetious to conflate zero-waste living with cult membership. In fact, according to Goodreads, Bea Johnson is the "Priestess of Waste-Free Living." I don't think this is an exaggeration. It requires a level of religious devotion to take the zero-waste lifestyle as far as this lady does, and although it clearly works for her life and interests, this book may turn normal people off from zero-waste living, because she makes the lifestyle seem obsessive-compulsive, unsustainable, and potentially damaging to social relationships. Also, despite all her ravings about how her family saves so much money and lives a far more simple life, one needs to live in a fairly affluent area to have access to all of the resources she has, and there is nothing simple about this lifestyle. As I tweeted after finding one of the recipes in this book, "Going zero waste saves the planet!! Restores humanity!! SIMPLIFIES LIFE! Also here is a time-consuming recipe to set almonds on fire and grind them up into eye shadow!!" The disclaimer at the beginning of the book says that "the reader should consult his or her medical, health, or other competent professional before adopting any of the suggestions in this book or drawing inferences from it." When you read something like that, you know it's about to get REAL. However, even though she does advocate peeing into your compost or a citrus plant, many of the recommendations in this book actually have merit. She gives lots of ideas for how to reject consumerism, buy in bulk, and deal with holidays. Many authors like this say, "Prioritize experiences, not material gifts!" but then give no recommendations for what kind of intangible gifts you should give. She provides a whole list of potential ideas, and even though they wouldn't all work for everyone, it's clear that she lives this out, and isn't just spouting platitudes. She gives lots of handy household trips and tricks, and has good advice for how to get rid of items you already have without putting them in the landfill. The most valuable thing I learned from this book is that Goodwill accepts bags of worn-out clothes and fabric scraps destined for the landfill. Goodwill sells these items to textile recyclers, who grind the fabric down for reuse in other products. I’m so glad that I learned this, especially since one of my upcoming projects was to declutter my sewing supplies. I’ve now filled up a whole bag of worthless or unwanted fabric scraps to take to Goodwill. However, even though she has great information about resources, many of her personal ideas for waste reduction require so many extra steps and so much effort that they hardly seem worthwhile. This book is also full of laughable contradictions, even on the same page. She tells you that when you ship something, you should reuse an old box, but then she tells you to avoid sticker or paper labels, and to write directly on the box. HOW DO YOU DO THAT IF YOU’RE REUSING IT?! Also, even though this author goes to very real and commendable lengths to avoid judgment, encouraging people to do what is right for them without trying to force it on all their friends and family, she is oblivious to how privileged she is. She never once acknowledges that people in highly concentrated, poverty-stricken urban areas often depend upon packaged and processed foods, since transportation costs for produce can make it prohibitively expensive in those areas. She doesn’t seem aware that when a family has two working parents, they won’t have time to shop all over town for unpackaged food and make their own household and toiletry items from scratch. She is also so sanctimonious about family size that I dropped my rating from three stars to one. She recommends that once couples have two biological children, they should adopt instead of “breed.” Adoption is a wonderful thing that should be normalized as an inherent good, rather than Plan B, but I despise her spiel about how couples should avoid reproduction in order to reduce tax on the planet. Firstly, when she talks about how much the population has expanded over past generations, she makes it sound like this is because people are running around making babies too often, when in reality, the population has expanded because mortality rates have lowered and standards of living have greatly improved. She doesn't cite her statistics, and nor does she explain why things have changed, and that's a very poor foundation to begin with. Secondly, even though she can talk piously about birth control all she wants, I know and love large families, and how DARE she suggest that every additional child is a waste of space and resources. If she wants to limit her family size to two children, she has the freedom and privilege to do so, but she has no right to shame large families and pretend that she’s an expert on family planning. I know that using birth control to eliminate the possibility of conception is very different than exterminating existent lives, but this woman is presuming authority not only over what you should do with your waste, or what you should buy at the grocery store, but over what human beings should exist in the world and be part of your family. Some of my best friends are members of large families, and parents often raise multiple children with the hope that these kids can grow up to change the world. I have much more respect for the invested, intentional parents who raise wonderful kids than for this lady’s investment and intention in eliminating waste. This past half a year or so we've been living full-time on the road in a house on wheels. We've seen such beautiful places with landscapes varying from mountainous depths filled with elk and reindeer, the unique colors of the desert to a flatter place here in Florida covered in lakes and a wide array of birds. I love nature. I love this planet and I want to keep it beautiful. Unfortunately, we are trashing it without acknowledgment for our waste and actions. Granted, the planet will always be he This past half a year or so we've been living full-time on the road in a house on wheels. We've seen such beautiful places with landscapes varying from mountainous depths filled with elk and reindeer, the unique colors of the desert to a flatter place here in Florida covered in lakes and a wide array of birds. I love nature. I love this planet and I want to keep it beautiful. Unfortunately, we are trashing it without acknowledgment for our waste and actions. Granted, the planet will always be here. It is ourselves we are dooming to extinction, but we're taking others down with us. We're depleting the oceans with our waste, the bees and dirt with our pesticides, our air with our poor choices of what we eat. C'est typiquement le genre de livre qu'il ne faut pas emprunter à la bibliothèque comme je l'ai fait mais qu'il faut plutôt avoir sur ses étagères personnelles pour pouvoir le consulter à tout moment. Ce livre est rempli de trucs et astuces qui apprennent à réduire ses déchets au quotidien. Tout y passe : cuisine, salle de bain, maquillage... Un livre fort utile en ces temps de prise de conscience environnementale. Cinco estrelas para um livro inspirador. As suas sugestões podem parecer idealistas ou irrealistas. No entanto, a premissa base, que leva ao Desperdício Zero, é a simplificação da nossa vida. Na base está a ideia que muito aprecio: consumir menos, trabalhar menos, viver mais! No fundo, quanto menos precisarmos/desejarmos, menos consumimos, menos dinheiro e TEMPO gastamos. Recusar, Reduzir, Reutilizar, Reciclar e Compostar para sermos mais livres e mais felizes. Para Ser em vez Cinco estrelas para um livro inspirador. Recusar, Reduzir, Reutilizar, Reciclar e Compostar para sermos mais livres e mais felizes. Para Ser em vez de Ter. Li este livro e lembrei-me do filme Fight Club e da poderosa mensagem do ex-presidente do Uruguai, José Mujica. Ok ok. I feel kind of cruel for rating this a book a two, as it's chock-full of tips to pare down on wasteful habits. But, I couldn't take it seriously: Although Bea's successful adoption of a Zero-Waste lifestyle is absolutely impressive, who the h*ll would want to live this way? "Dry Shampoo: I substitute cornstarch sold in bulk for dry shampoo. Ok ok. I feel kind of cruel for rating this a book a two, as it's chock-full of tips to pare down on wasteful habits. But, I couldn't take it seriously: Although Bea's successful adoption of a Zero-Waste lifestyle is absolutely impressive, who the h*ll would want to live this way? "Supplemental options for women -- Sugaring: Waxing with sugar originated in ancient Egypt and is still used in Arab countries today. Also referred to as halawa (meaning 'sweet'), it can be a dessert or a great alternative for those adept at waxing! It is tricky but well worth the effort." (p. 92) H*LLAWA NO. Re: clothes, "Stay away from colors or patterns that are too casual. Acid washes and tie-dye rainbows are restrictive; they cannot be dressed up for a formal event." (p. 124) Really? I'm kind of curious to prove her wrong. "How did your kids give up Oreos?" (p. 183) She never answered this question. "The fear of being different is almost universal and especially pervasive in children. Refusing requires tremendous courage, but kids build lasting confidence when they meet challenges like this, and they become examples for others. Our boys find it difficult to say no to free candy, but they have learned..." (p. 192) I am beginning to hate this woman. Re: Trick-or-Treating on Halloween -- "I am not at all against the trick-or-treat tradition. The freebies are, after all, the force behind consistent turnouts. Here are items to consider: A box of organic raisins, a whole fruit, a licorice root stick..." (p. 223) I would egg this woman's house. "Does this seem overzealous? Well, it isn't." (p. 264) Oh really? Contrairement à certains lecteurs qui ont trouvé les suggestions de l'auteur et le ton radical de son écriture snob, j'ai trouvé le livre une lecture très agréable et inspirante. L'auteur reconnaît que dans le début, l'enthousiasme l'a amenée à tester des choses un peu radicales, mais elle les raconte avec de l'humeur et sens de l'auto-critique. À la fin, elle a adopté ce qu'elle pense en vaut la peine dans leur cas particulier. Le ton n'est pas trop moralisateur (même si c'est à la limite sur certains passages) et on ressent vraiment l'enthousiasme de l'auteur par rapport à ce mode de vie. Elle reconnaît également les limites et le caractère un peu extrême de certaines idées qu'elle a pu avoir. This book walks the line between useful advice and things that are incorrect or completely ridiculous. The author seems to think that previous civilizations didn't have waste (not true, what do you think archeologists find?) and also notes items that she believes can be composted which cannot if you are intending to actually use the compost in your edible garden. She also notes using a glass container in the shower for shampoo which seems to me to be a rather significant safety hazard. My bigges This book walks the line between useful advice and things that are incorrect or completely ridiculous. The author seems to think that previous civilizations didn't have waste (not true, what do you think archeologists find?) and also notes items that she believes can be composted which cannot if you are intending to actually use the compost in your edible garden. She also notes using a glass container in the shower for shampoo which seems to me to be a rather significant safety hazard. My biggest gripe with this book, however, is the statement that her household is close to zero waste. It's a logical fallacy. She "refuses the grocery receipt" when purchasing items which just means the grocery store has to throw it away and on numerous occasions she notes buying things that someone else has already removed the packaging on (buying floor models for instance). Just because she's not physically throwing away the trash does not mean that it was not created. I would much rather accept the store receipt and recycle it or shred and compost it myself than have it go in the store's waste basket. One additional quibble with the book is that the author's children were older when her family began this journey and as such, there is very little content related to the rearing of small children. You may be able to give a teenager a glass lunch container or a locally-source pottery plate but I wouldn't try it with a 2-year-old. She cannot help that this is her family experience but I would have appreciated some research on the subject rather than a couple of paragraphs of opinion that come across as a judgmental shoulder shrug. A lot of commenters that gave this book low review said that this book came across as pretentious and snobby to them, but I thought Johnson was very reasonable with how she presented this fountain of information that she has collected after years of experimenting and living this alternative lifestyle. She understandably states that this lifestyle is most likely a gradual incorporation and people can do what is possible in their own time and depending on their means and their communities offering A lot of commenters that gave this book low review said that this book came across as pretentious and snobby to them, but I thought Johnson was very reasonable with how she presented this fountain of information that she has collected after years of experimenting and living this alternative lifestyle. She understandably states that this lifestyle is most likely a gradual incorporation and people can do what is possible in their own time and depending on their means and their communities offerings. While there is a definite guilt factor that comes along with reading this book, I think it's equal parts inspiring. Personally, I'm not going to make myself crazy getting rid of everything in my life that creates trash right away, but I am inspired to focus on incorporating more reusable items in my daily life (metal water bottle, stainless steel or bamboo straw, cloth napkins, tote bags, travel bamboo utensils, bamboo toothbrush, etc.). I am fortunate to live in a city that has committed to being "zero waste" so composting is extremely easy for me. Luckily, my city also has an amazing bulk store, so going waste free in the food area would be pretty easy for me and therefore an attractive option. Obviously that isn't going to be the case in many places, but I'm glad I'm aware of this option now. The author says at the top of the book that people won't necessarily try all of her suggestions, and that some of them are more extreme than others. Still, it's really hard to take a book seriously when it suggests cutting down on make-up waste by getting eyeliner permanently tattooed on - or make your own by burning almonds. Perhaps, just don't use eyeliner instead? As Johnson predicted, I certainly won't be adopting all of her techniques, but this book is a good reminder that even if you don't The author says at the top of the book that people won't necessarily try all of her suggestions, and that some of them are more extreme than others. Still, it's really hard to take a book seriously when it suggests cutting down on make-up waste by getting eyeliner permanently tattooed on - or make your own by burning almonds. Perhaps, just don't use eyeliner instead? While I will never get to the extreme that Bea lives, I appreciate her tips and ideas. The book does make you more aware of where you can reduce, refuse, etc. I won't be making homemade mascara, but I do wash my hair with baking soda. Take what works, leave the rest and don't feel guilty! There are lots of great tips in here on how to eliminate garbage from your life, although sorting them out of the insanity of the writer's persona is hard work. At a certain point (probably the makeup section), her absolute awfulness becomes so over the top it turns into a comedy. I might read this book again to use as a drinking game! But well worth reading for the final chapter, which presents an inspiring and nearly magical vision of a society that's serious about living ecologically.